Ms. Nina Suomalainen of Finland is an international crisis management and institutional development professional with 25 years of experience working in international organizations, including the Organization for Security and Co-operation in Europe (OSCE), United Nations Development Program, and the European Union, as well as with civil society. For the past several years, Ms. Suomalainen held senior positions within the OSCE, most recently as the Head of the OSCE Mission to Skopje from 2015 to April 2018. From 2012 to 2015 she served as Deputy Head of the OSCE Mission to Bosnia and Herzegovina, based in Sarajevo. Ms. Suomalainen holds expertise in institutional development, human rights protection and promotion, and crisis management. 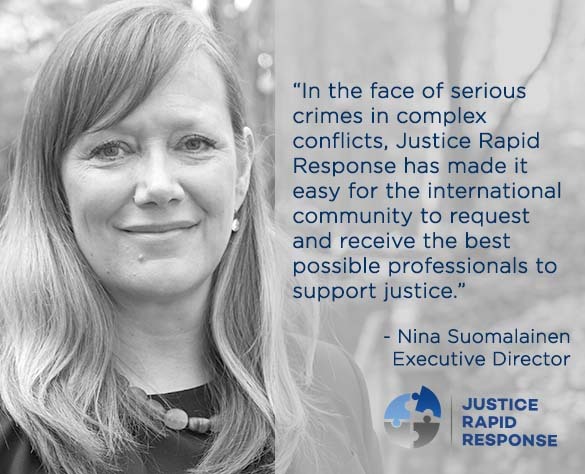 She has extensive experience working in a wide variety of conflict-affected countries in south-eastern Europe, including Bosnia and Herzegovina and other countries in the OSCE region. She has also worked in Bangladesh, Cambodia, Haiti, Rwanda, Liberia, Sierra Leone, and the Palestinian Territories. From 2005 to 2010 Ms. Suomalainen worked as a senior adviser to Finn Church Aid, the largest development NGO in Finland. Ms. Suomalainen was selected by the Executive Board of JRR after an extensive search process. 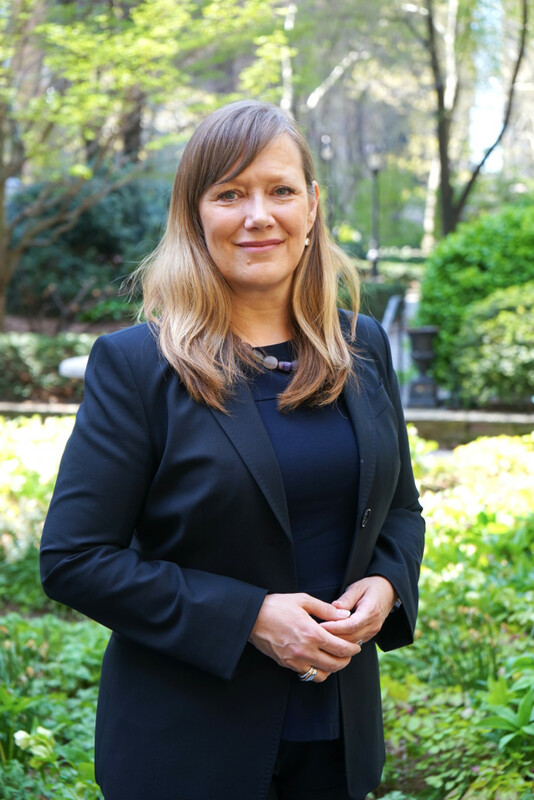 She is seconded by the Government of Finland and has been Executive Director of JRR since May 2018.